If you’re looking for an electricians in Manchester, look no further than Solargen Energy Ltd.
We have a team of highly trained specialised electricians that you can really trust. We have decades of experience in electrical work, and pride ourselves on our customer service. Whether you have a socket that needs fixing, or a whole house that needs electrical wiring, our electricians can help you. At Solargen, we’ve spent a significant number of years mastering our craft in the field of electrical contracting, meaning that there is no job too big or small for our fully qualified electricians in Manchester. We’re available for projects of many different sizes and specifications – from short-term domestic electrical contracting right through to large-scale commercial projects – we’ve seen and done it all, and we’re proud to say that we were given the opportunity to do so. We can offer free no obligation quotations for any works you require to your home or commercial project or premises, and offer guarantees on all our wiring. We are members of the NICEIC (approved contractor status) and Safecontractor amongst others, so you can rest assured that you’re in safe hands. 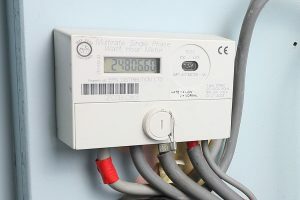 We know and understand how difficult it can be to find qualified, trusted and reliable electricians in Manchester so we’re certain that our long-standing reputation in the industry, our accreditation and our testimonials gives you that all important peace of mind that you need before employing an electrical contractor. All our electrical work is handed over with the relevant certification, and we will complete any building regulation notification required. Whatever your the reason you need to give our electricians in Manchester a call, the team at Solargen Energy Ltd can help. 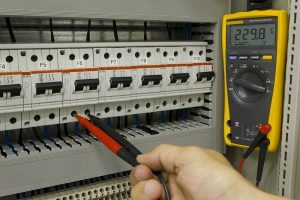 If you would like to know more about our electricians in Manchester and how we may be able to assist your with your domestic or commercial works, please contact us and we’d be more than happy to discuss your electrical project requirements.